The carpets in your home, hotel, rented flat and any other property need to be sanitised in depth professionally at least a couple of times in the year. If you use our excellent carpet cleaning services that we offer within South East London you will have perfectly sanitised carpets that will look good and serve you long time. 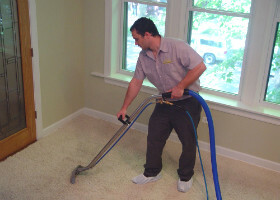 We offer steam cleaning, stain removal, drying of the wet carpets and deodorising the cleaned ones. Contact us any time to receive the information which you need and reserve the carpet cleaning that we offer. You won’t have to worry about the condition of your rugs and floor coverings any more. 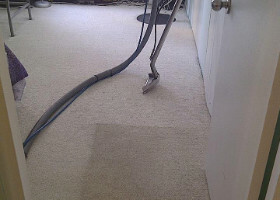 If you use our services the carpets in your house, flat, hotel and other estate will be in great condition. Our cleaning technicians inspect the carpets, pre-treat the heavily soiled areas and blemishes and then apply steam cleaning. It is performed with the help of advanced machines that inject steam in the carpet after which the dirt, allergens and soiling are extracted. We use powerful industrial dryers to speed up the drying time and make the carpet ready for use faster. In the end, every carpet is sprayed with a deodoriser which makes it nicely scented. Order the carpet cleaning which we provide in Bankside, South East London during the whole week and let out qualified staff perform the necessary procedures. In case your carpet has become stained, looks darker and needs professional sanitising, call us and let out staff take care of it. We offer flawless carpet cleaning to the residents who live in South East London which is low-cost and professional.